Cicindela nigrior was known in Alabama and Mississippi from a few scattered historical localities in the extreme southern portion of each state; it had been recently collected from only one spot in Geneva County, AL. 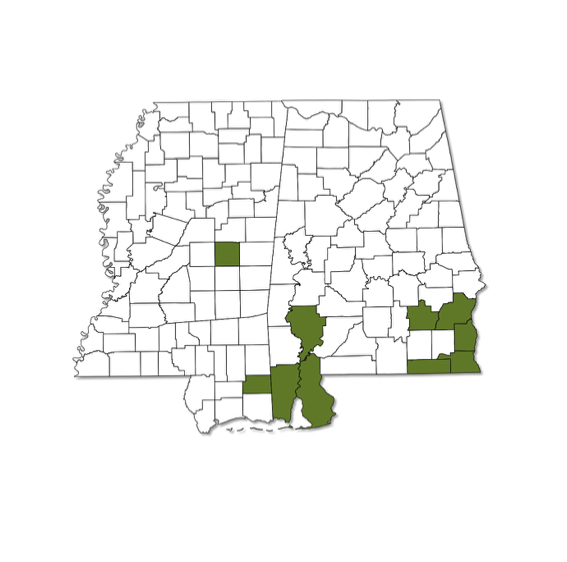 However, in September 2012 Brian Holt discovered an apparently sizeable population in Henry County in extreme southeastern Alabama. 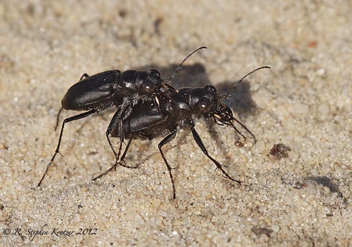 Habitat is open areas of sand with vegetation, away from water. 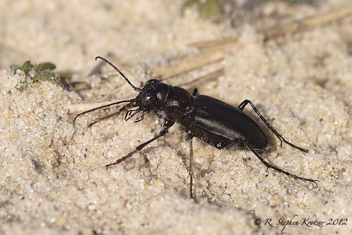 This rarely encountered tiger beetle is black in the southern and western part of its overall range but can be black or blue-green to the north and east. 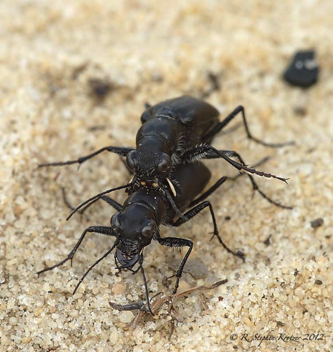 As the common name indicates, it is an autumn species; adults can usually seen in September and October, although in mild weather individuals have been documented much later than this, as late as January!